This piece looks at the recurring problem of inflated threat claims offered by executive branch actors to persuade the Nation to consent to the use of force. It sets out the experience of the Bush Administration’s use of incorrect threat claims to persuade the country to consent to the use of force in Iraq as a backdrop to evaluating the President Obama’s use of threat claims to support the continuing use of force in Afghanistan. Although comparison of threat advocacy by the Bush and Obama administrations must be imperfect, it allows for some observations about the extent to which the structures and incentives that have in the past allowed executive branch officials to assert unverified threats as certain and sufficient to justify the use of force have changed or remain the same. 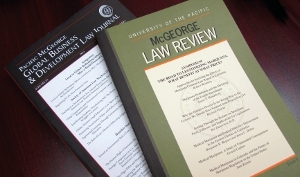 Because the structures and incentives that allow for the possibility of unverified threat claims have not changed significantly, and because significant legal changes to address the systematic problems are unlikely, this piece proposes that citizens can impose some minimal level of contemporaneous accountability on executive department threat claims offered to persuade them to consent to the use of force by keeping a several basic recognitions about executive department advocacy, intelligence information, and the incentives that impact oversight of executive branch activities in mind. Leslie Gielow Jacobs, Bush, Obama and Beyond: Observations on the Prospect of Fact Checking Executive Department Threat Claims Before the Use of Force, 26 Const. Comment. 433 (2010).